We’ve got some new details about Watch Dogs for you, this time from a German publication called pcgames.de. Their exclusive preview revealed some interesting things about Ubisoft’s upcoming open world game. In addition to the general gameplay they discovered as they played their way through the first story mission, they also shed some light on the soundtrack. They heard music from Alice Cooper, Public Enemy, Rise Against, Smashing Pumpkins, Nas, and Weezer, among others. They also found mini-games. They mentioned drinking contests, shell games, Texas Hold ‘Em poker (in which you can hack the nearby cameras to cheat), and chess. Watch Dogs’ online modes will including 2-8 player races, 1 versus 1 hacking, a 3-8 player Decryption mode, a 1-8 player Free Roam mode, a 1 versus 1 CTOs Mobile Challenge and online tailing, where you enter another player’s game and attempt to follow them without being spotted. Feel free to check out their full preview, although if you don’t know how to read German, you’ll have to handle the online translator’s interpretation. 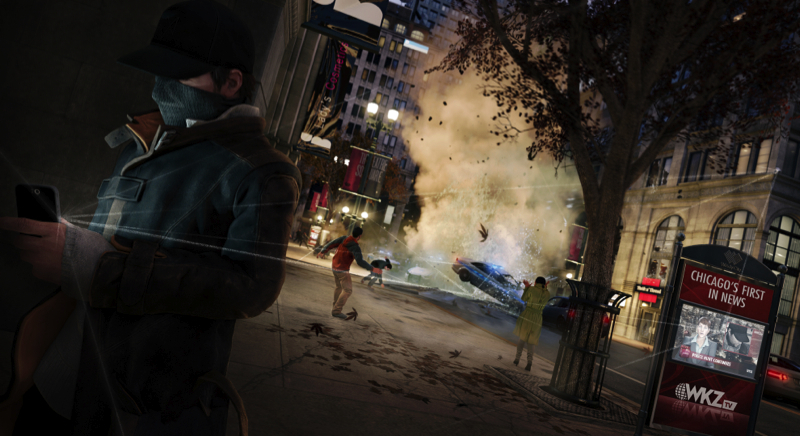 So, do these details make you more excited for Watch Dogs? Which of the mini-games and online modes sound the most interesting to you?